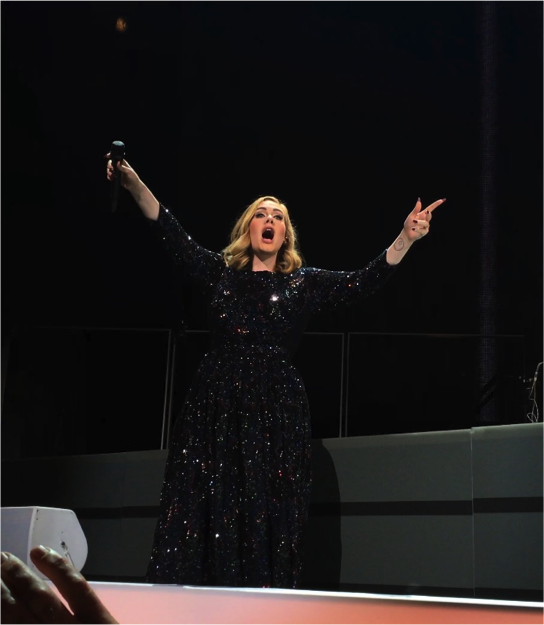 On the 29th of February, the ADELE LIVE 2016 UK & European tour started in Belfast. Last week, on the 24th and 25th of June, she performed in Barcelona. The show took place in Palau Sant Jordi, with an audience of around 18.000 for which the venue was transformed into a fully seated auditorium. ADELE not only performed songs from her latest album: ‘25’, she also included songs from her first album. The stage design was simple and elegant whilst effective and of high visual impact. 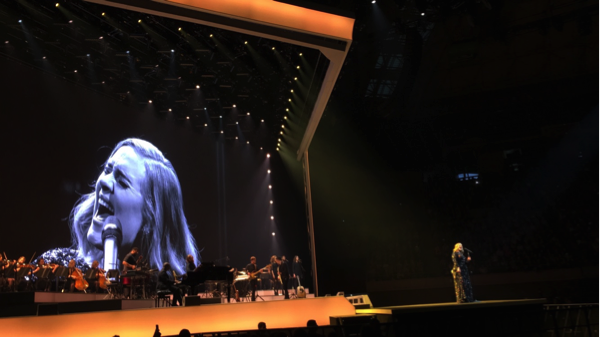 On the main stage there was a giant screen which, when elevated, revealed the orchestra and band supporting Adele. 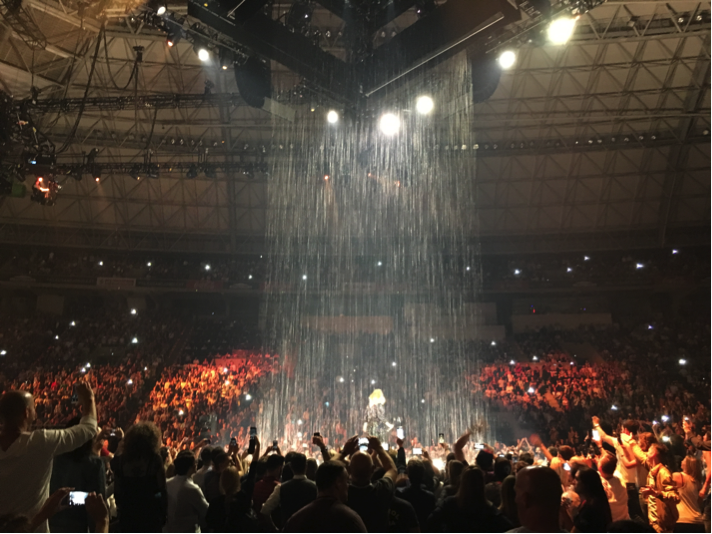 The B Stage was used for her surprise opening as well as themes such as ´Set fire to the rain´, when a spectacular rain effect added to the drama of the tune. 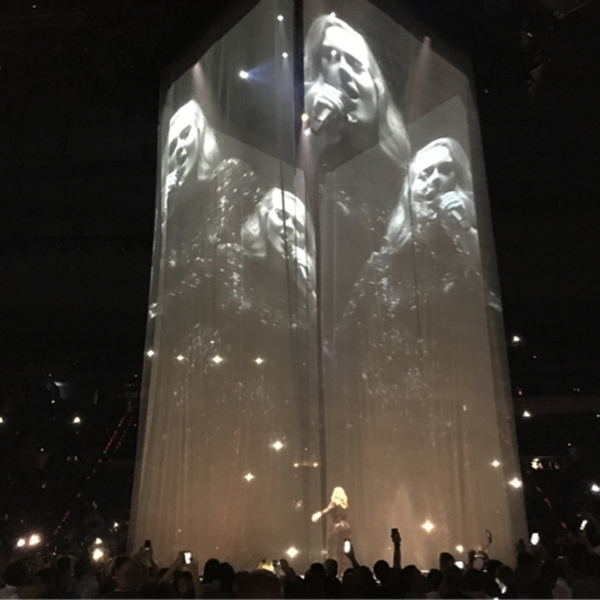 During the entire show ADELE took the time to engage with the audience by telling anecdotes, taking selfies and chatting to the fans, creating a personal connection with them.